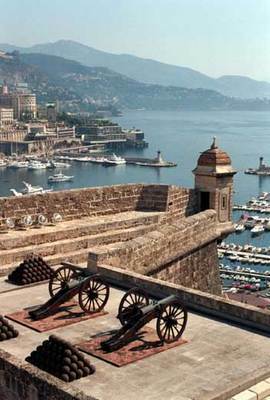 One of the high points of the greentech year is coming up March 4-5: CleanEquityMonaco (http://www.cleanequitymonaco.com) in the picturebook-lovely city of Monte Carlo. Interestingly enough it is not a costly conference to attend, probably because it has very distinguished sponsors, and probably worthwhile even for Americans to fly to. The conference has arranged very attractive hotel rates, a fraction of what one would expect on the Riviera, and quite reasonable flights can be found from the Northeast to Nice (which is the airport for Monaco as well). CEM is a meetingplace for people with new and significant green technologies of all types, and from all over the globe. There are several plenary meetings set, and some very distinguished guest speakers as well. Awards for the best technologies and best commercializations will be made by Sir Stelios Haji-Ioannou and HSH Prince Albert II. The conference coincides with an annual meeting of the United Nations Environmental Programme (UNEP) and green technocrats from all over the world will be in town at the same time. But the real show are the new technologies themselves. The publisher of this blog, Allen & Caron (http://www.allencaron.com) is working with the conference organizers on a pro bono basis, and we have admired the arrangements as they have been made over the last 6-8 months. For obvious reasons, the largest category of new technologies will be in the field of alternative energy: solar, wind, new fuels, etc. But there will also be environmental technologies that run the gamut. The sponsor and organizer is London-based Innovator Capital (http://www.innovator-capital.com), a boutique investment bank and financial advisor with a devotion to environmental causes, and there will be investment bankers prowling around looking for clients, as well as technocrats from big multinationals looking for acquisitions and partnerships. Many of the companies that are showing new technologies are not listed or publicly traded, and quite a few are really post-academic, though all have demonstrated proof of what they claim to be able to accomplish. All are scrappy, feisty, fearless and have new mind-bending ideas. Some “hot” publicly listed companies will also be presenting, including Shanghai-based China Energy Recovery, Oak Park MI-based Azure Dynamics, Torrance CA-based Enova Systems, Oxford UK-based Oxford Catalysts, Southboro MA-based Protonex, Cuxhaven Germany-based PNE Wind, Perth Australia-based Enerji Ltd, and Griesheim Germany-based BGI EcoTech. The keynote speaker will be Jigar Shah, CEO of The Carbon War Room(http://www.carbonwarroom.com) , a noted authority on renewable energy, and the founder of SunEdison, which has more megawatts of solar energy under management than any other company in the world. Mr Shah is an alumnus of BP Solar, a DOE contractor on fuel cells and alternative energy, and a member of several boards, including Greenpeace USA and the Prometheus Institute. Sir Stelios will introduce the Next Wave segment of new technologies on the second day of the conference. He is best known for having founded EasyJet, a leading lowcost airline that has revolutionized European travel, but he is also the founder of several other companies. His Stelios Philanthropic Foundation is devoted to environmental sustainability, education and entrepreneurship. We highly recommend that you consider attending. The cost is reasonable and the technology rewards potentially earth-changing. Some of these concepts will completely reorder the way you see the world. This entry was posted in Alternative energy, Biomass, climate change, Emissions trading, Energy Storage, Global warming, Greentech, HEVs, EVs, PEVs, Hydro electric power, Renewable energy, Solar energy, Water, Wind energy and tagged Alternative energy, carbon dioxide, cleantech, climate change, CO2, electric vehicles, Energy Storage, environmental cleanup, Greentech, renewable energy, Solar energy, solar panels, solar power, Sustainable energy. Bookmark the permalink.